Reptiles evolved from amphibians in the Late Carboniferous and managed to diversify and dominate the Mesozoic. When they first appeared they formed four main groups based on the position and number of openings in the skull, Anapsids (turtles), Diapsids (dinosaurs, pterosaurs, birds and all modern reptiles), Euryapsids (marine reptiles) and Synapsids (mammal-like reptiles). During the Triassic mammals began to evolve from the Synapsid lineage of early reptiles while Diapsids gave rise to the dinosaurs. Turtles are reptiles, which first appeared in the fossil record during the Triassic about 220 million years ago and developed a successful and enduring innovation, the protective shell. They belong to the more primitive reptile subclass of Anapsida. Hyphalosaurus was a 10-110 cm long aquatic reptile that lived in freshwater lake or river environments. 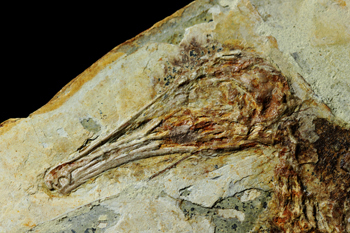 Its long elongated neck, needle-like teeth and small head may have been advantageous in the stalking of small prey, including fish such as Lycoptera. For millions of years insects were the only creatures that could fly, until the Late Triassic, when pterosaurs followed them into the air. 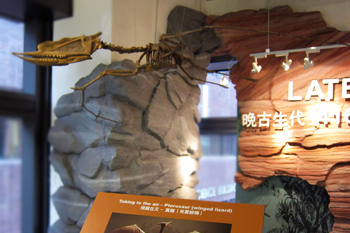 Pterosaurs were the first successful flying vertebrates in Earth's history and ruled the skies in the Mesozoic. The wings were formed by a membrane of skin, muscle, and other tissues stretching from the thorax to a dramatically lengthened fourth finger. 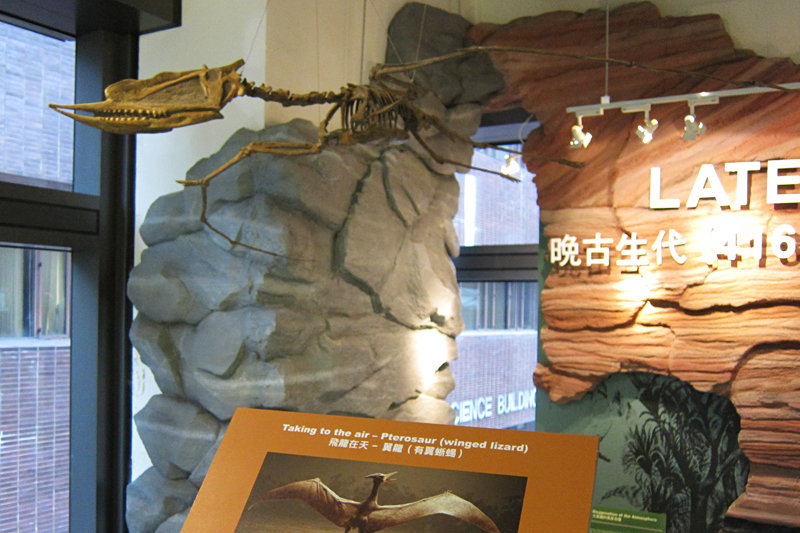 Their shoulders and breastbones strengthened to support gliding and flapping flight. They existed from the Late Triassic to the end of the Cretaceous period. 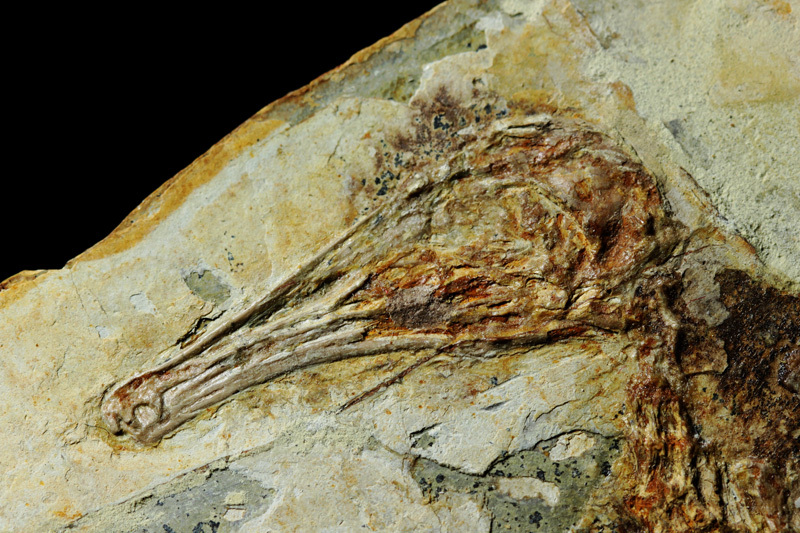 A primitive fossil bird clearly retaining a reptilian character such as densely distributed teeth as well as finely preserved wings with flight feathers identical to those of modern birds, one example for the evolutionary link between birds and dinosaurs.